A colossal 59 separate lawsuits against Apple for throttling iPhones with weak batteries could be merged into one class-action case at a March 29 meeting in Atlanta. A lead attorney and court location should also be selected at the time, the Wall Street Journal said on Wednesday. The existing cases have some five dozen plaintiffs. A combined lawsuit is expected to demand unspecified damages, legal fees, and free battery replacements, as well as a marketing campaign addressing Apple's alleged deception in the matter. That concern has led to probes in Canada, China, France, and Italy, as well as domestic investigations by the U.S. Department of Justice and the Securities and Exchange Commission. 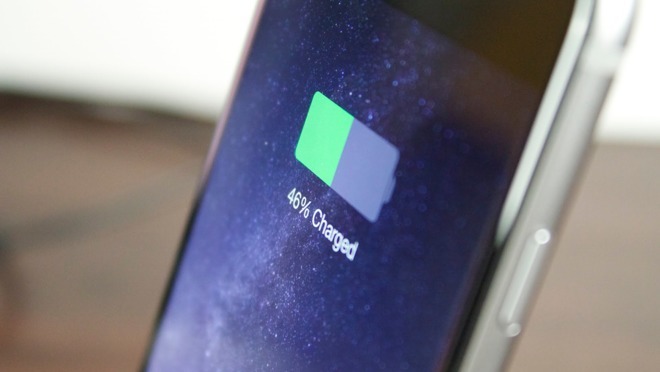 At the heart of the matter are changes Apple made starting with 2016's iOS 10.2.1, intended to prevent sudden shutdowns caused by deteoriating batteries. The company initially targeted the iPhone 6, 6s, and SE, but extended this policy to the iPhone 7 in iOS 11.2, and said it would continue the approach with other hardware. Responding to anecdotes, Apple admitted to throttling iPhones last December, causing a backlash among people upset that their iPhones seemed to be getting slower —but at the same time apps and iOS were becoming more demanding. At least some legal actions have accused Apple of planned obsolescence by intentionally slowing phones, believing that the company was intentionally prodding people to buy a new iPhone. Apple has denied this, but simultaneously cut the cost of out-of-warranty battery replacements from $79 to $29 through the end of the year. An imminent iOS 11.3 update will include new battery management features, letting people gauge the health of their batteries and optionally disable throttling. The latter will still kick in under more extreme circumstances, such as hot or freezing temperatures. iOS 10.2.1 included release notes saying that the update "improves power management during peak workloads to avoid unexpected shutdowns on iPhone," but Apple CEO Tim Cook later acknowledged that the company could've been clearer on the subject. A phone with a replaced battery benchmarks the same as it did the day it was new.